Following President Trump's call for reducing legal immigration by half, the Brookings Institution highlighted some important facts about immigration, while emphasizing that current immigration levels are increasingly vital to the growth of much of America and that recent arrivals are more highly skilled than ever before. Read more about their findings, including how international immigrants are attracted to different areas than domestic migrants and are more widely dispersed, helping cities across the U.S.
Research by the Center for American Progress found that black women continue to make only 63% of white men's annual earnings and suffer from higher unemployment than other demographic groups, all with the highest rates of acting as primary or sole breadwinner for their families. CAP concludes that policymakers ought to consider these challenges when implementing policy that affects the labor market. Learn more about the challenges black women face as members of the workforce. 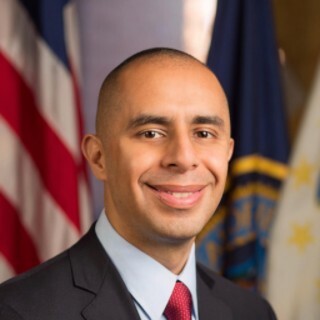 NewDEAL Leader Providence Mayor Jorge Elorza released a report this week outlining ideas for improving the city's schools and making it one of the top performing urban education systems in the country. The recommendations, developed after Mayor Elorza convened more than 400 stakeholders for an all-day summit, run from facility improvements and building a pipelines for educators of color to ideas for improving outcomes for English language learners and leveraging community partnerships. Learn more about the report's recommendations and the next steps.